While exterior beauty and interior style are essential qualities in any modern home makeover, the furnishings are what really bring the entire ensemble together. Volumes can be said for aesthetically-pleasing architecture and innovative features, but your home is designed and built to be lived in, to entertain and to be your sacred space, making your furnishings a primary component and one that should not be left to chance. As you are probably already aware, home makeovers are not as simple as home TV shows make them look. Even though you may feel like a young Mozart writing his first symphony, there are innumerable elements and patterns you have to be aware of to ensure balance and function in your design. While making the selections that reflect your personality, often it can feel as if these finishing touches are either solely for comfort or solely for beauty, but the great news is you can have both – if you have the right team on your side. With the Phil Kean Design Group, your furnishings can be a fingerprint of your unique self, equal parts practical and beautiful. You can actually acquire the custom furnishings of your dreams thanks to PKDG’s existing relationships with the world’s top furniture designers and exclusive sources. Which means you secure the superb quality and design you expect. For a reasonable investment, your home can hold tailored furniture, wall treatments, draperies, area rugs, built-ins, and so much more instead of the one-size-fits-all found at every retail outlet. 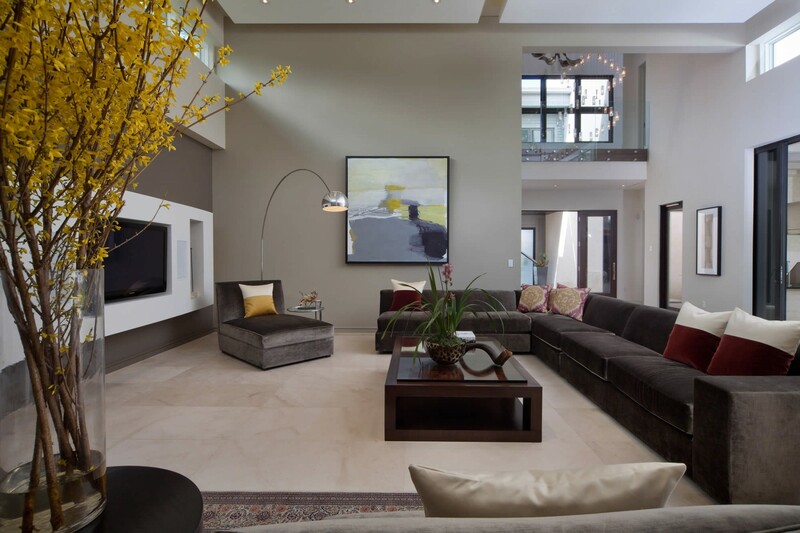 Whether you’re looking to complement a minimalist design with a variety of textures or to give your home makeover an eclectic, curated feel, our approach to transforming your home with high-end furnishings reflects our process—functional beauty that fits your specific needs and preferences. Maybe you want a floor-to-ceiling upholstered headboard that brings a sense of grandeur to the master bedroom. Maybe you want custom-built sofas that perfectly fit the unique space in your home. What about that exquisite conversation piece everyone will talk about, what will it be, where will it come from and where should it be displayed in your stunning home? Cast your worries aside, Phil Kean Design Group will handle all these details with and for you. Imagine walking up your entrance way door knob swinging open your front door and experiencing a blend of colors and material that welcome you home as well as compliment the beauty that is seen through the windows of your home. And all without having to scour furniture stores, online resources, interview furniture designers and deal with retail outlets to find the cohesion and style you desire and your home deserves. From the furniture that was designed and built specifically to fit your style – to the fluidity and fusion that ties each room together – your home makeover can be as aesthetically intoxicating and flawlessly functioning on the inside as it is on the outside. We will take care of every detail, just drive up, walk through the door, and embrace the unique-to-you luxury of your new life.